It’s time to play fast and loose with the daily prompts: this isn’t all seasonal, but the staff at Moment changed the vegetables in the omelette based on what they had in, so I’m going to call that a seasonal choice rather than anything else. 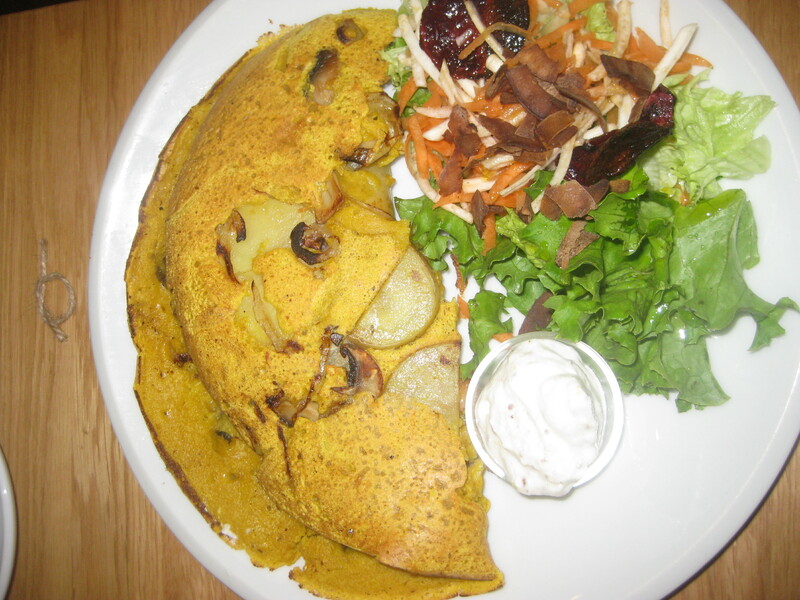 Dr HH tried this omelette when we visited Prague in May, scoping it out as a place to live. 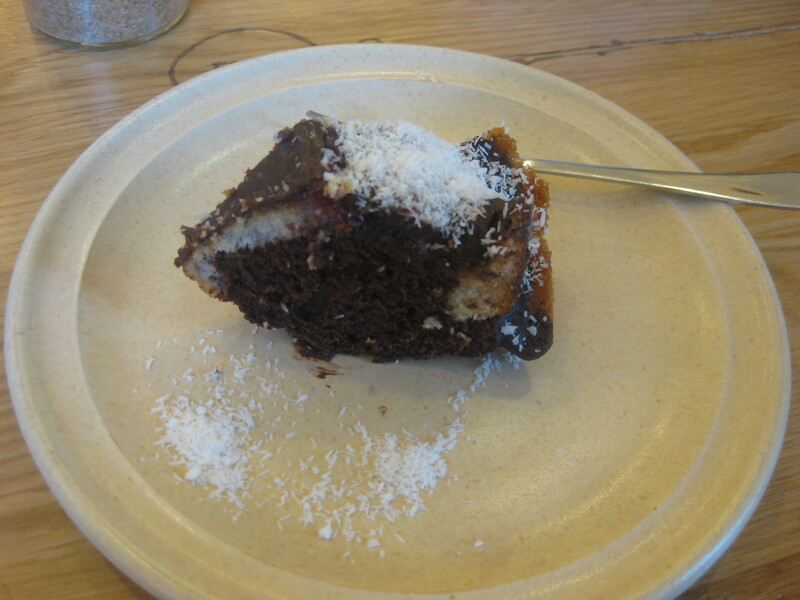 I did not have such a satisfactory breakfast, though I thought I had a foolproof plan: cake for breakfast! I was on holiday, I’d already ticked the pancakes off the menu and was unsure about trying the omelette myself, and the cake counter is phenomenal. Why not have a little breakfast treat? Alas, “little” was the operative word. This was my teeny tiny sliver of bundt cake. It was nice, of course, but I ate it in about three mouthfuls and then sat mournfully watching Dr HH devour the omelette above. “Order another piece of cake,” he encouraged me. “Two pieces of cake for breakfast? I’ll never be able to show my face here again!” I protested (let me point out here that it was about 10am and there were other people eating proper slices of cake as well, so eating cake was acceptable. But more than one slice?). Taking pity, Dr HH fed me a bit of omelette, and it was delicious. “Order one for yourself then,” he urged. “No, it’ll take too long and we’ll waste half our day here,” I refused. “Then just get some more cake, you’re never going to see these people again,” he pointed out. “But the staff will think I’m a pig. And you’ll never let me forget it,” I lamented. He denied that, but he reminisces about this incident at least once a week, rejoicing in my terrible breakfast choice, my folly in choosing cake (or the smallest cake in the world, anyway) over omelette. In the end, we got two cookies to take away and I scoffed them as soon as we left while Dr HH laughed and clutched his happy, full belly. I learned two valuable lessons on that day: 1) cake for breakfast may not be the winning idea it sounds like, and 2) vegan omelettes are pretty darned tasty! 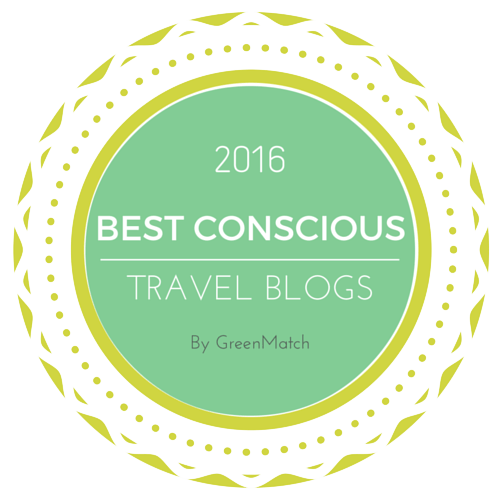 This entry was posted in Travel, Vegan Mofo and tagged Moment Prague, vegan mofo, vegan omelette, vegan Prague. Bookmark the permalink. Cake for breakfast isn’t always a winning plan?! My dreams are in tatters…. I know. It was a terrible morning. Oh no I would have been so mad!!! My partner has a thing where he will never order the same thing as me and he gets annoyed if he then thinks my order is better. I of course take the mickey out of him for doing this. Glad to hear you had back up cupcakes! Ha, we always have a bite of each other’s meals and try to decide who made the best choice and “won”. I can’t imagine I shared this cake though, considering how small it is!